Mar. 26 – At the turn of the 21st Century, there were two main schools of commercial thought with regards to China. The most popular was that China represented a massive market to sell to with roughly 1.3 billion potential consumers. The second was that China had a young, available and inexpensive work force that was relatively skilled and disciplined. While the latter has proven the dominant economic driver for the past two decades, China’s one-child policy (implemented nationwide in 1982) has meant that the nation’s supply of cheap labor has been drying up – and is now doing so at an increasingly rapid rate. 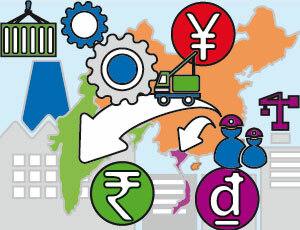 Portions of this article came from the March/April issue of Asia Briefing Magazine, titled “Expanding Your China Business to India and Vietnam.” This issue discusses why China is no longer the only solution for export driven businesses, and how the evolution of trade in Asia is determining that locations such as Vietnam and India represent competitive alternatives. 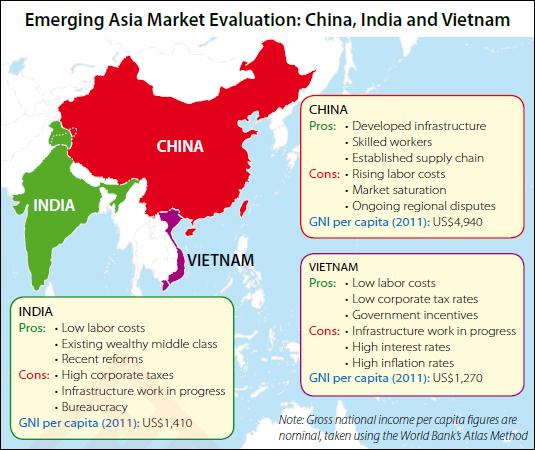 With that in mind, we examine the common purposes as well as the pros and cons of the various market entry vehicles available for foreign investors interested in Vietnam and India.